Another short film from some recent practice sessions focusing on boxes and slopes. A quick vine of a slope top 360 unispin / shoveit. 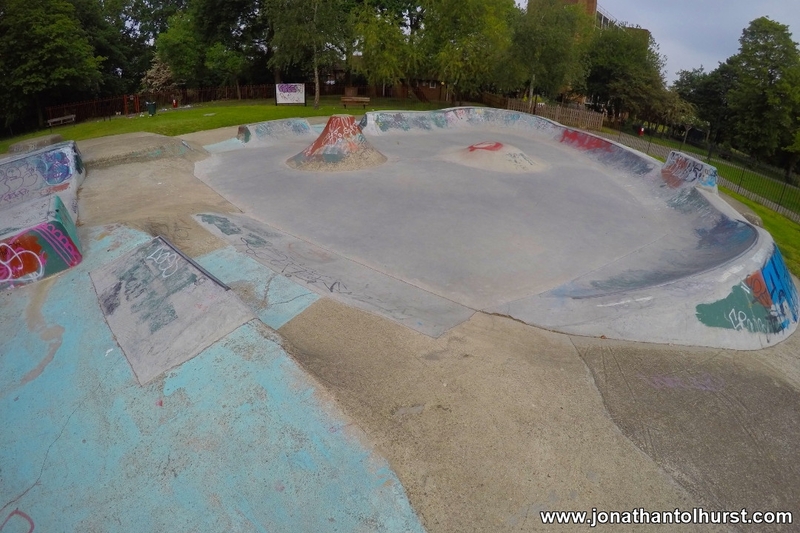 The week’s video comes from Bromley skate park in South London. In the last week I have worked to get my 180 shove-it consistency to greater than 80% so decided to use this early morning visit to try and take the trick to the slopes. The ramps at this facility have a “skate-lite” surface which are rather slippery when using an EUC, although still great fun. 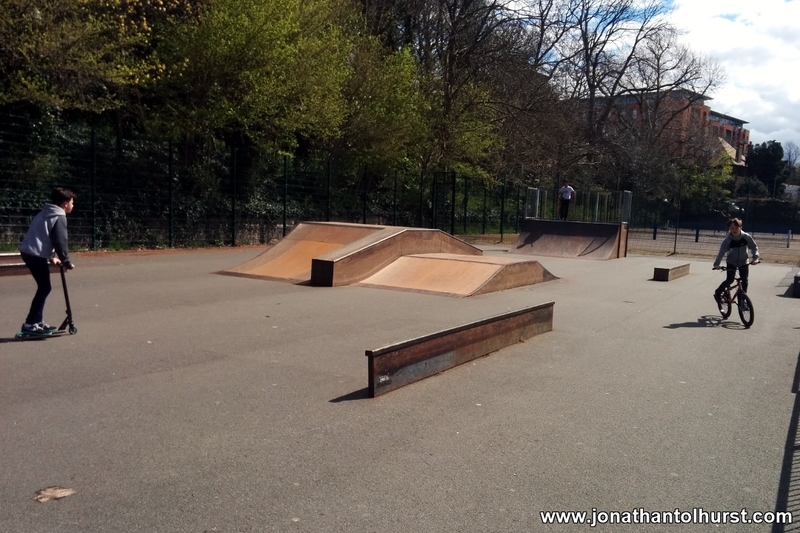 Another session from South Norwood recreation ground in South London. Mostly working on improving the consistency of my 180 shove-its which are much less painful to practice since investing in some ankle and shin guards! A short video of a typical EUC practice session in my local park. Sessions last approximately one and a half hours (I.e the battery life) and involve cone practice, spinning practice, slope/ramp riding and flatland trick practice. This morning I headed out early to ride at Bloblands Skatepark in Norwood Park. 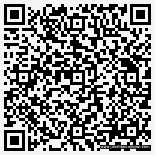 Norwood Park occupies the side of Salter’s Hill and on a clear day has fantastic views out over the city of London. 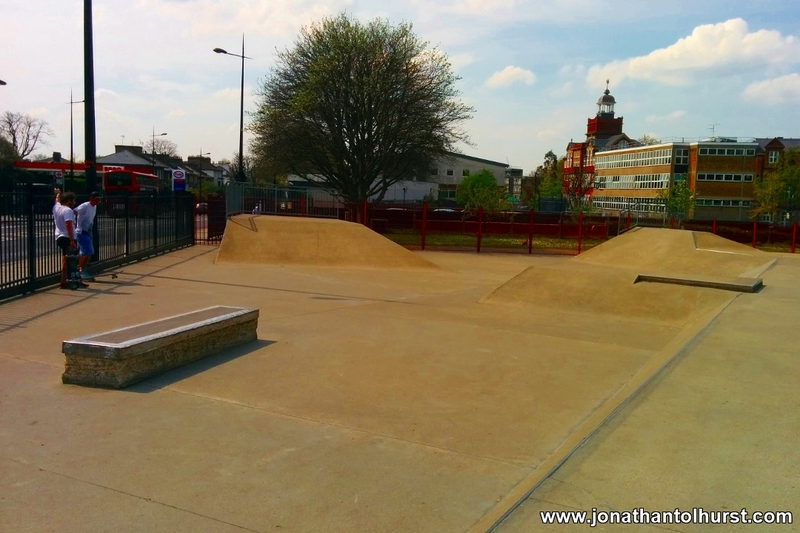 The skatepark is a rather unusual creation – it looks to be a mixture of DIY as well as professionally cast concrete elements. It’s good fun to ride. At the bottom of the park there is a full sized tarmac football pitch which is a great place to practice “step off-step on” tricks. 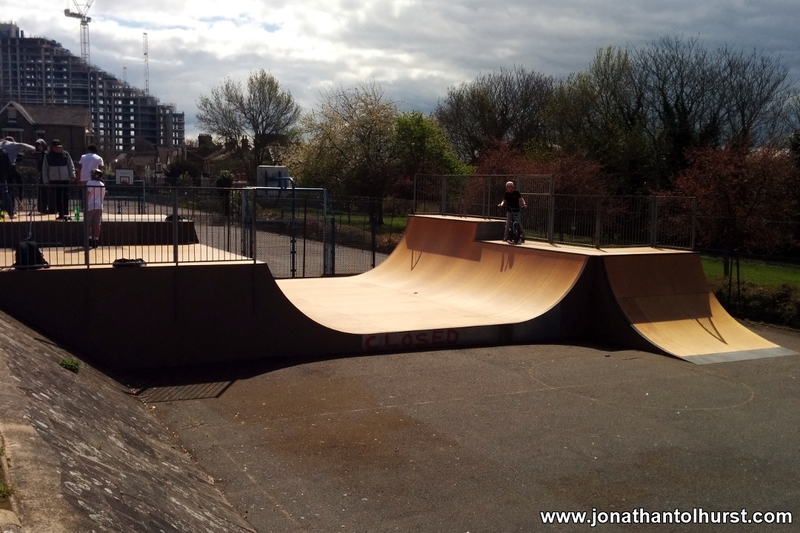 A quick video of a few electric unicycle tricks from Stockwell (aka Brixton Bowls) Skate park in South London. 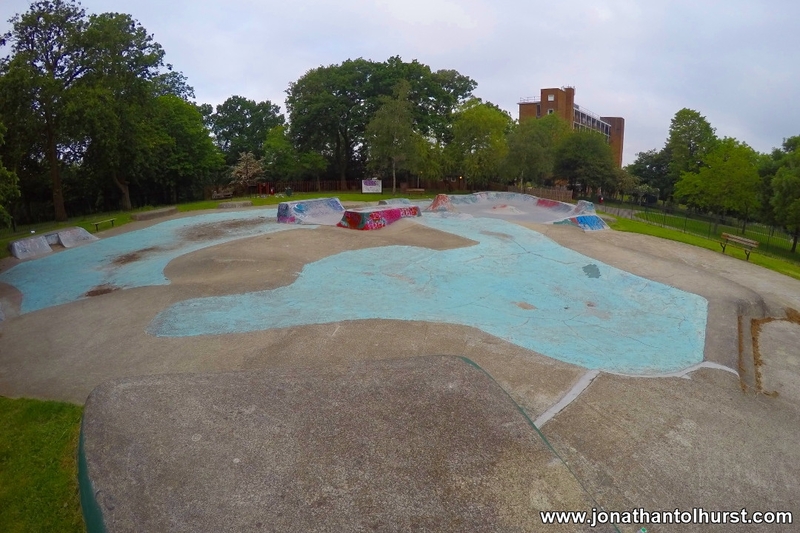 This historically significant skate park is great fun on an electric unicycle although it’s best to visit at silly o’clock in the morning at the weekend if you want to avoid the crowds. 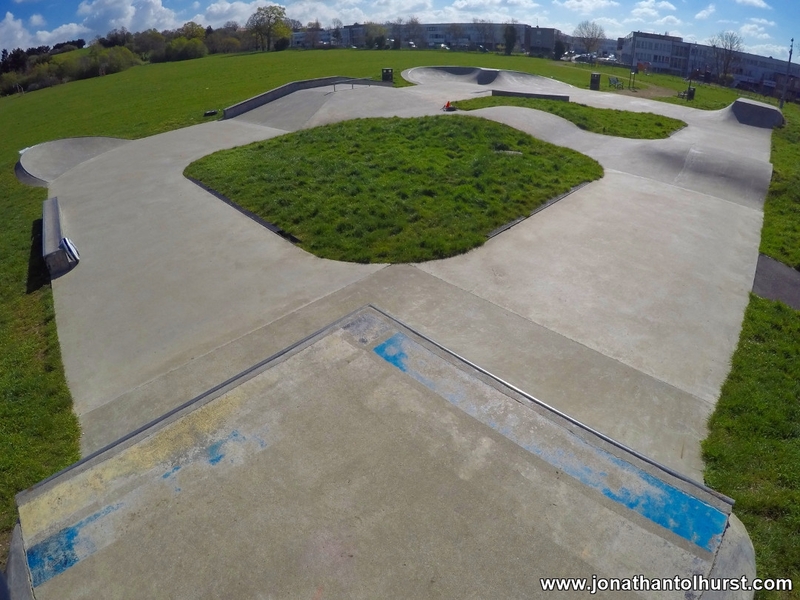 Today I headed down to Cantelowes Skatepark with my Ninebot One electric unicycle. 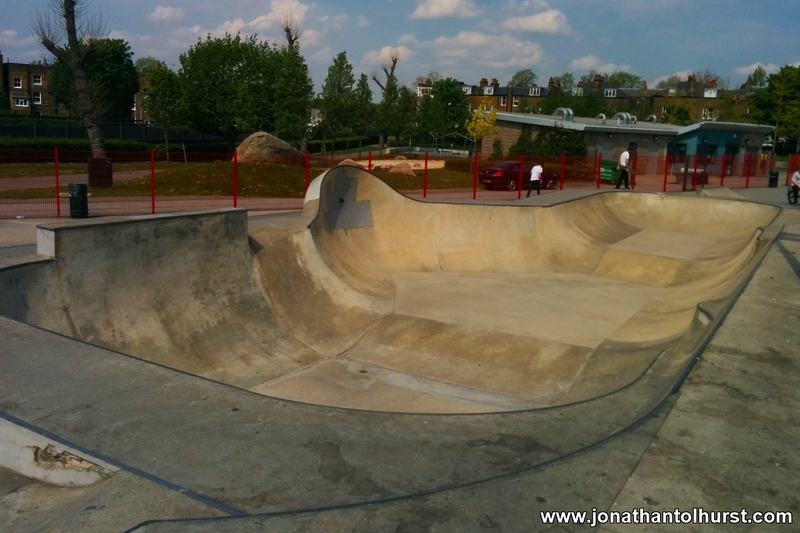 Today I headed down to Bromley Skatepark in South London. This facility is just inside a lovely park and is good fun with an electric unicycle, although the metal and wooden ramps get very slippery with even a few drops of rain.